Imagine a place where you can trace the design journey of the legendary coke bottle or view one of the earliest advertisements of the iconic 1903 built Taj Mahal Hotel of Bombay (Mumbai) or see how the earliest Horlicks mixing jars looked like. 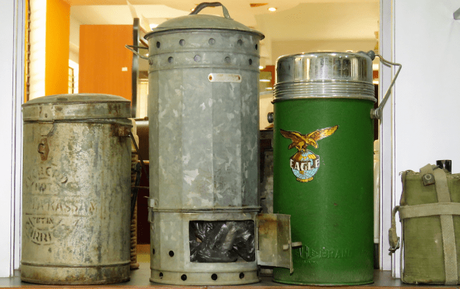 Well, you can see all this and much more at India’s only packaging museum, Manjushree Heritage Packaging Museum in Bangalore. A wonderful trip in nostalgia, this is a place where you are sure to rekindle fond memories and reminiscence your childhood days; days that were pleasantly slow paced and uncomplicated. 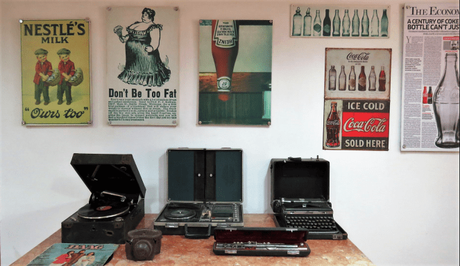 A majority of the 2000 odd distinctive items in this unique museum are from the personal collection of the founder, Mr. Vimal Kedia who is the Managing Director of Manjushree Technopack Ltd. 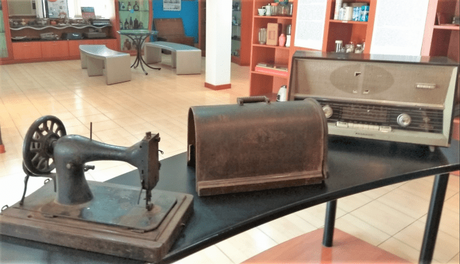 Given his undying passion for packaging technology, the museum chronicles the evolution of packing and tracks the changes that have happened in the world of consumer goods packaging. While the museum was established in 2003, it was open to public in 2009 and has been featured in the Limca Book of World records in 2011 for its vast collection of packaging artifacts. The packaging industry as it stands today is in fact the result of thousands of years of evolution with the earliest packing materials being animal skins, bark, hollow gourds etc. Based on changing needs of human societies, materials have been developed over centuries with major innovations being bought about in the 20th century. The collection at Manjushree includes rare, vintage collectibles that not only highlight the value of the actual piece but also focuses on how the packaging designs for the same have evolved based on the changing consumer needs. What is really interesting is that the collection attracts not only FMCG packaging experts but also laymen as it gives them a unique perspective on the world of marketing and packaging. As you enter the museum, you are greeted by a cornucopia of stuff that have oodles of the old-world charm. A closer look reveal that the similar items are neatly grouped together and arranged in ascending order to evolution. Some really exclusive articles on display include the yester year aluminum tiffin carriers that were tall, bulky and included a small chamber to feed in burning coal so that the food remained hot and fresh. The evolution of the same to the sleeker ones in metal and steel is quite appealing. Similarly, several models of the age old “eagle flasks” that were quite a luxury decades ago is also on display. The metamorphosis of the Pepsi can from the last 50 years from being a large 3-piece spot welded piece to a sleek, light weight can is also showcased. 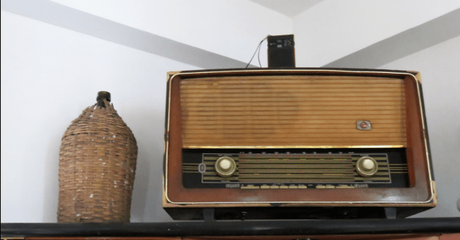 Yesteryear radios, transistors, typewriters, copiers and sewing machines are aplenty. The evolution of the LP aka gramophone record sleeves from simple monochrome designs to colourful flexographic prints is depicted very well. The good old colourful tins that stored cookies and toffees, the earliest Cadbury caramel boxes as well as the earliest tins of Lactogen, Amul Spray, Parachute oil, Parle sweets and Monaco biscuits are sure to bring a smile on your face. There are liquor bottles, antique spectacles, shaving sets, razor cases and vintage Faber Castell and Staedtler stationery sets apart from the first mason jars and pyrex dishes. The best part about the museum is that there are detailed display boards on the history and significance of the development of packing materials for many objects. 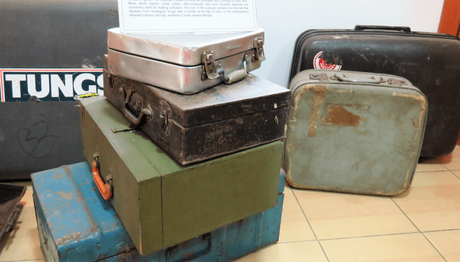 For instance, there is an exhaustive collection of suitcases that are really apt and in line with the theme of the museum. The development of the suitcase from the days of the wooden containers to the trunk to leather briefcases and finally to the modern wheeled ones is quite absorbing. Do not miss the super heavy, royal wooden box that has multiple hidden compartments and was used by the princess of Rajasthan. The relevant supporting information on the story of suitcases is definitely a value add. Similarly, there is comprehensive information about packaging for the humble salt and pepper shakers, jewelry boxes and cigars. The trivia related to glass, paper and paper products including its history, development, uses, pros and cons is noteworthy. Apart from objects and artifacts, the museum has several rare posters of advertisements of the yester years. The ads of Kellogs, Palmolive soap and Nestle not only evoke happy memories but reveal some fascinating insights into the advertising strategies and aspirational values of customers of the past. 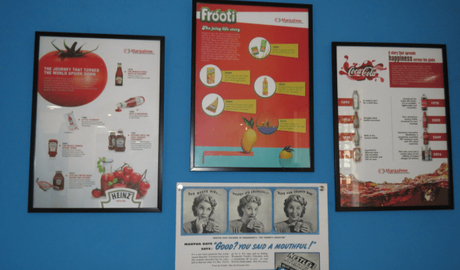 The journey and marketing techniques adopted by successful brands like Coco Cola, Heinz tomato ketchup and the more recent Frooti form for some interesting learnings. 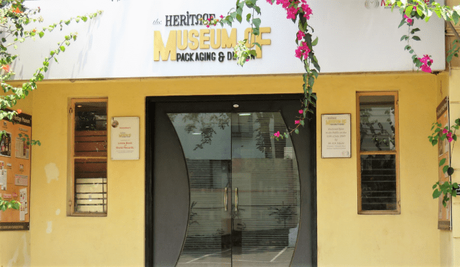 Manjushree Heritage Museum of Packaging & Design; Manjushree Technopack, Unit I, 143, C-5, Bommasandra Industrial Area; Hosur Road, Bangalore – 560 099. Phone: 43436200. This article was originally published in Deccan Herald.